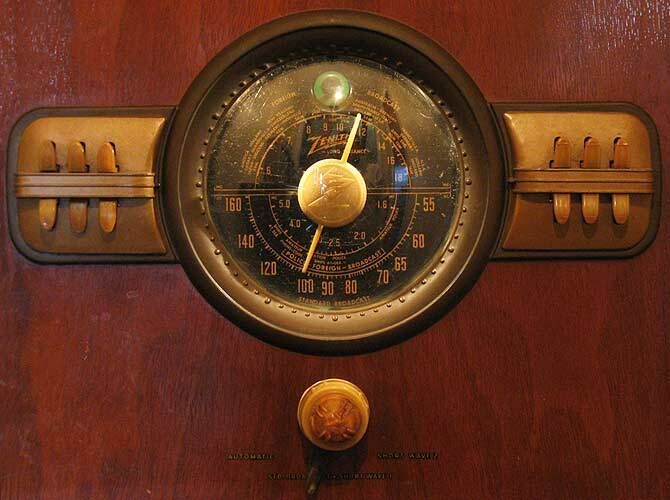 The Zenith 11-S-474 is the only 11-tube radio produced by Zenith. It comes in a nicely designed cabinet and has a black dial like many other Zeniths of the time, but it does not have the "robot" or "shutter" dial like the 9-S-367. The power supply design consists of two 6X5s for more power and the audio output stage implements a push-pull amplifier stage with a pair of 6V6 tubes. The chassis is electrically identical to many other 10-tube models such as the 10-S-464 except the 6Q7 detector and preamp tube was replaced with a 6J5 detector and 6F5 preamp tubes. This example was found through the local Austin classifieds. The cabinet has the original finish and was in surprisingly good condition for its age. 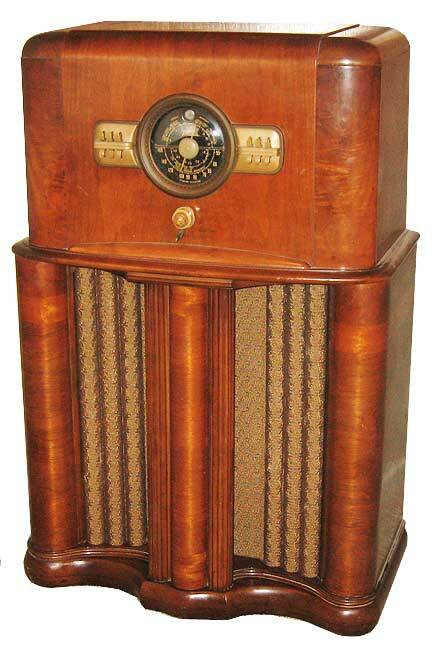 The knobs and pushbuttons are all original as well and exhibit some darkening of color due to age. The grille cloth is a new reproduction as the original did not survive the test of time.